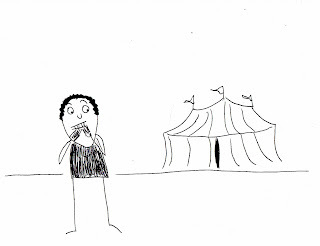 It was my idea to go to the circus -- “The Greatest Show on Earth." Every kid should go to the circus at least once. I went when I was a kid. It was my son’s 9th birthday and I thought he should go before his age hit double digits. Okay, so I wanted to go to the circus, too. I hadn’t gone since before my age hit double digits. To begin with, I’m a nervous guy. I worry. I stress. I get anxious. In life, I try to keep things as close to status quo as possible. This keeps my nerves at bay. I think I do a pretty good job of staying calm. My kid wasn’t falling for any of that. 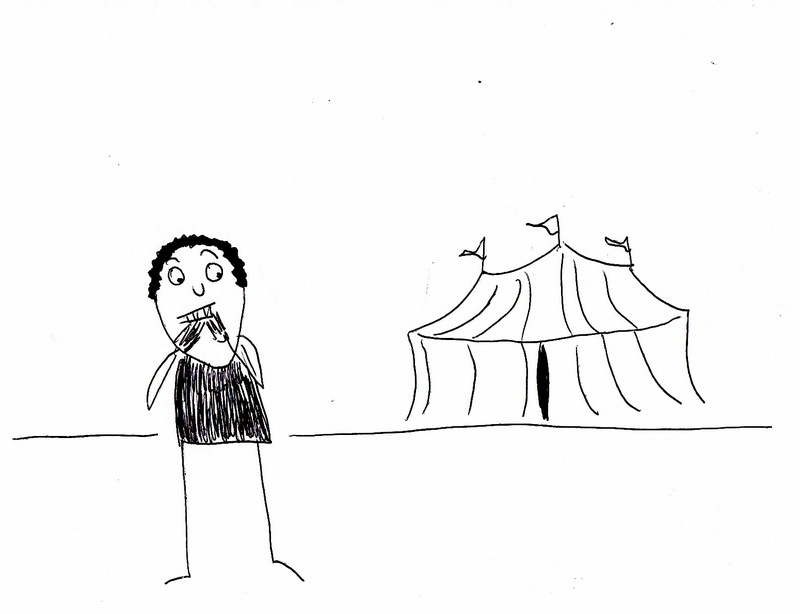 Once we were there and the show was underway, I realized why I hadn’t gone to the circus since I was a kid. Meet my nerves -- they let me know that at least one daring performer on the flying trapeze was going to fall and miss the net; they let me know that the tiger trainer was going make a false move and make the nightly news; they let me know that my son was not going to scoop that flavored slushy without leaving scoops all over his clothes. “They’re professionals,” she reminded me. I reminded her that a live circus wasn’t a movie -- there were no special effects, no second takes and no actors faking their deaths. If people died, they’d really be dead. But as the acts went on, I realized everything was going to be okay. I began to notice the safety systems in place -- people to catch performers if they missed their targets, tools to keep lions and their sharp teeth off the trainer, and confident looks to prove that these tricks had all been done many times over. I was feeling much better. My wife, however, was ready to take me home. She wouldn’t budge on her stance. So maybe I was thinking about selling our dog for fear my son would try to teach him to jump through fiery hoops. I didn’t vocalize this consideration. Nevertheless, I was ashamed of having such worries. I was so mad at myself that I didn’t even care about the safety of eight motorcycle riders circling the inside of a caged globe. It was death defying, too. “Hey, look,” I said to my wife, trying to convince her to let me stay. “I’m not nervous anymore.” And I wasn’t. But then I got nervous for not being nervous. How could I not care about a person’s life, even someone who was voluntarily -- and so stupidly -- riding a motorcycle in a tiny cage with seven other motorcycle riders? When the show ended and we were walking back to the cars, I came to the conclusion that the circus was merely playing with my mind. They wanted me to go through a roller coaster of emotions. There was nothing wrong with me, despite my feeling like maybe I needed to check into a mental institution for my nerves. It’s nerves like mine that keep people going to the circus. It’s nerves like mine that make my life so exhilarating to me. I had a couple close calls getting out of the circus parking lot, and I could feel my blood pumping. I crossed into lanes where motorists weren’t giving me the right of way. I made wrong turns, but got back on the right path. I was living! Maybe it came as a surprise to my wife when I, of all people, told her not to be nervous.